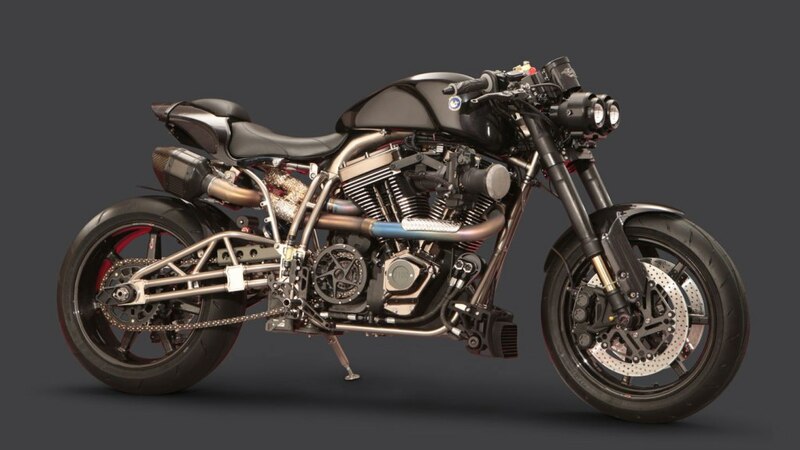 Ecosse Moto Works - known for building no-compromise café racers with American V-twin power—has upped its own game with the Night Stalker, a one-off creation that plays every card in the fabricator’s deck. The motorcycle was inspired by Ecosse founder Don Atchison’s friendship with a former member of the US Army’s 160th Special Operations Aviation Regiment, known as the Night Stalkers, which provides helicopter support for covert night-time missions. Fittingly, the bike makes a bold visual statement with its stealth design, high technology, and military-spec build quality. 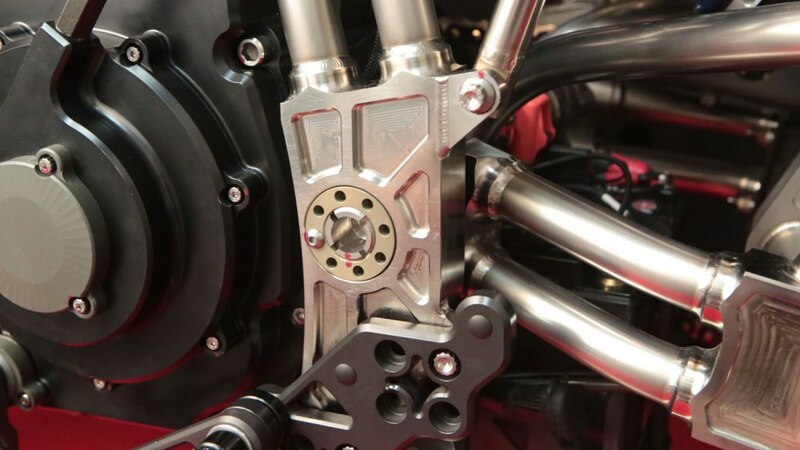 Notable is the chassis, made of lightweight, super-high-strength titanium, a notoriously difficult material finished with a subtle sheen that complements axles, fasteners, and ceramic-coated exhaust headers of the same metal. Ecosse’s welding and machining elevate the frame to the level of pure art; the flanges - joining frame members - reveal meticulous artistry worthy of the most accomplished watchmaker. The weave of all seven pieces of carbon-fibre bodywork is aligned to perfection, and these beautifully formed components complement the strong, extra-lightweight carbon-fibre wheels. The carefully matched suspension is composed of Öhlins front forks and a JRi single-shock in the rear - Aitchison’s preferred cocktail for razor-sharp handling and comfort. Adjustable foot and hand controls optimise ergonomics, while a military-grade electrical system with LED lighting and programmable instruments complete the rolling chassis. Like every Ecosse creation, the hand-built engine is a 45-degree V-twin based on the venerable Harley-Davidson principle that there is no substitute for cubic inches. This one is huge: a balanced and blueprinted 2.1-litre - built by Jim Jones of Tra-Co Racing Engines. Unique to the Night Stalker is its matching Airborne Tactical Solutions moto-adapted helmet. Originally designed for aircraft pilots, the helmet’s carbon-fibre and Kevlar shell provides superior comfort and safety. And because time is of the essence, a 46mm titanium wristwatch from BRM, designed specifically for the Night Stalker, completes the package. Its movement features patented isoelastic mounting to provide shock absorption during spirited rides. The unique Ecosse package comes in at AU$305,708, with a portion of the price going to the Night Stalker Foundation, a non-profit organisation for veterans and their families.